Worrying dental developments can happen at any time. When they do, it’s important that you seek an emergency dentist in Bournemouth as soon as possible. Hannah Neve and the Queens Park Dental Team have years of experience in providing effective solutions for oral health emergencies. If something’s gone wrong in your mouth, like a broken tooth or a sudden pain, we can stabilise your condition and reduce your discomfort. By doing this, we help you to have healthy teeth and gums in the future. Why do people go to the emergency dentist in Bournemouth? You might be seeking an emergency dentist in Bournemouth because you’ve injured a tooth. You might have broken it unexpectedly, while playing sports, or even while chewing your food at the dinner table. Events like these can be unsettling and painful. It’s important to get treatment as soon as possible, so that your discomfort can be reduced and your remaining tooth structure preserved. Hannah and her team will make decisive and meticulous repairs, to avoid the risk of further complications. Many people come to the emergency dentist in Bournemouth because of advanced tooth decay. A dental cavity, left untreated, can grow to the point where it suddenly begins to cause a prolonged and severe toothache. If you bring this condition to us at an early stage, we can make the necessary repairs under local anaesthetic. We use contemporary injection techniques that minimise the discomfort associated with injections. 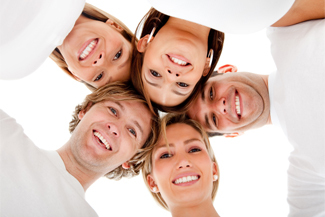 You can relax while we carry out vital work to preserve your oral health. The repairs we make on the day you come to see us might be long-lasting, or might require a follow-up visit. Seeing the emergency dentist in Bournemouth will ensure your teeth and gums are given the urgent attention they need. Hannah and the team here will deliver their care with tact and efficiency, aiming to put you at ease while they look after your health. Anyone can have an accident with their teeth, or experience the sudden worsening of tooth decay. Our emergency solutions will improve your condition and reduce your future dental worries. This entry was posted in Emergency Dentist on 13th August, 2018 by Queens Park Dental Team.